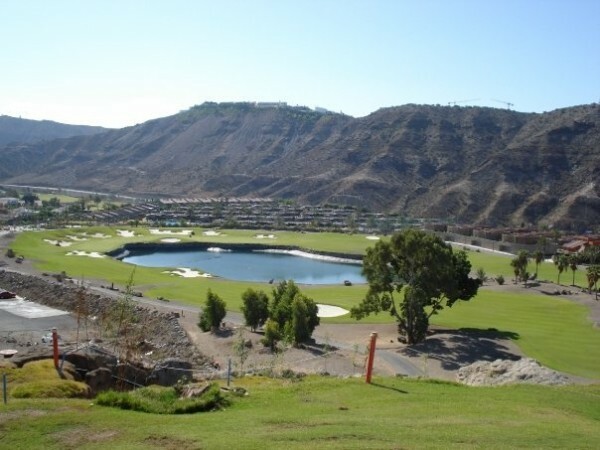 The only 9 Hole Golf Course in Gran Canaria is the Anfi Tauro Pitch and Putt Course, which is situated next to the Anfi Championship Course in the valley of Tauro, very near Puerto Rico. I Like to play this course sometimes to sharpen up my short game. It is also perfect for beginners or non-golfers, if they want to have a non-competitive friendly game of golf with friends and family. The prices for the green-fees are quite reasonable in the summer. In the winter season, from October to April, the prices can be quite expensive for a pitch and putt, and the course can be very busy. This pitch and putt course only has 9 holes, but every hole has two tees. So it is possible to play it as 18 holes from different tees when you play the same hole again. All the holes are straight forward except for the last hole (9/18) as you have to hit over water. It can be a little daunting for the beginner or non-golfer. Apart from that, it is an decent pitch and putt course EVERYONE will enjoy. 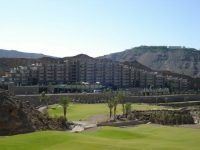 It has some nice features on the course including a botanical garden, plenty of different types of cactus and palm trees. The temperatures can get quite high in the summer, so make sure you have a hat, and always have plenty of water and suncream with you. The greens are nice to putt on, but are not very receptive, as it is quite normal to use a type of grass on 9 hole golf courses that does not have many pitch marks. This is great for the course as many players that play the course do not repair or know how to repair pitchmarks. In case you would like to know how to repair your pitch mark correctly watch the short video on the right. But overall, the greens are in great condition, so you will not be disappointed. 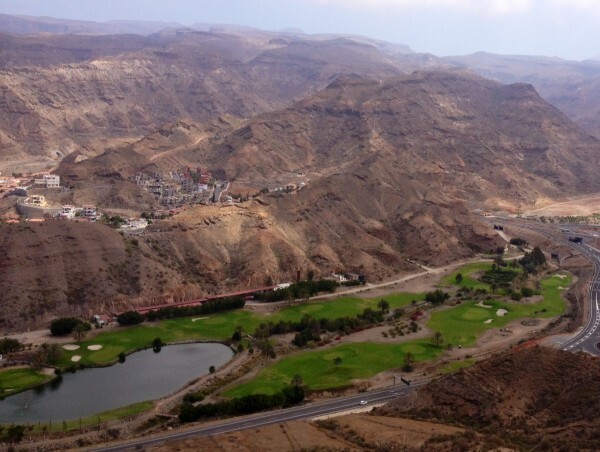 The LPGA academy is based on the driving range and has only been part of Anfi Tauro Pitch and putt course since 2013. At the time of this writing, they have two golf professionals of different nationalities, Ian and Patrick. 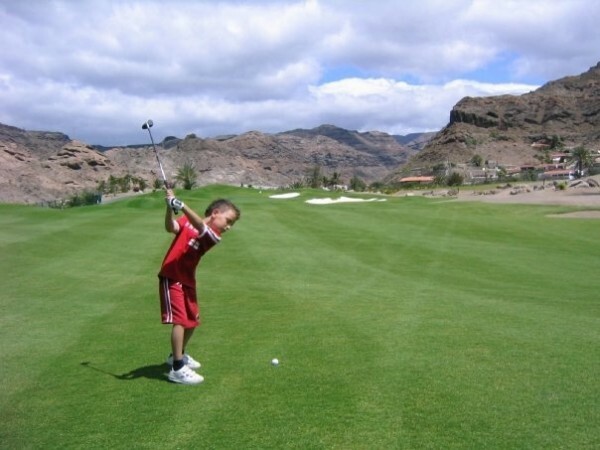 Ian is an English pro and has been based in Anfi Tauro for the last 8 years and is very popular with the regular Golfers that visit every year. Ian also organises a friendly texas scramble every weekend for the local and visiting Golfers. Patrick is a French pro that has been based at Anfi Tauro for the last couple of years and is quite popular with non English-speaking Golfers as he can have converstaions in a few different languages. The course does not have a clubhouse as such but what they do have is Bar & Restaurant under a giant marquee. 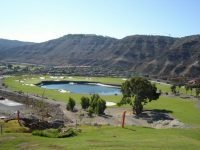 It is situated next to the driving range overlooking the course where you can enjoy a nice cold beer or something to eat while watching the players on the course. 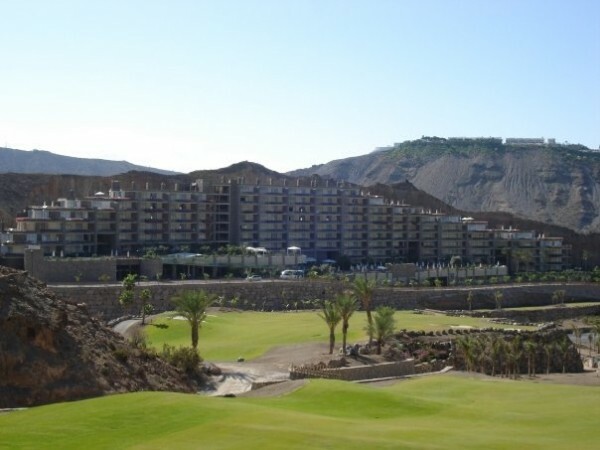 There are also special priced days where you can pay a set fee which would include a round of golf, some lunch and live music to entertain you and the family. These special days are normally on the weekend. The pitch and putt course also has a membership scheme which you can join. With the membership, you will have discounts on green fees, the driving range and also a discounted fixed price on the championship course. I would definitely recommend this membership to Golfers that are visiting the pitch and putt course quite regularly all through the year. If you only go once or twice though it is not worth joining, as it would not save you any money.